Betws-y-Coed, Llandudno Pier, Conwy Castle. to the edge of the jellyfish-dotted sea. and a candle, painted in wax with your name. wrap words like cowry shells to take back home. 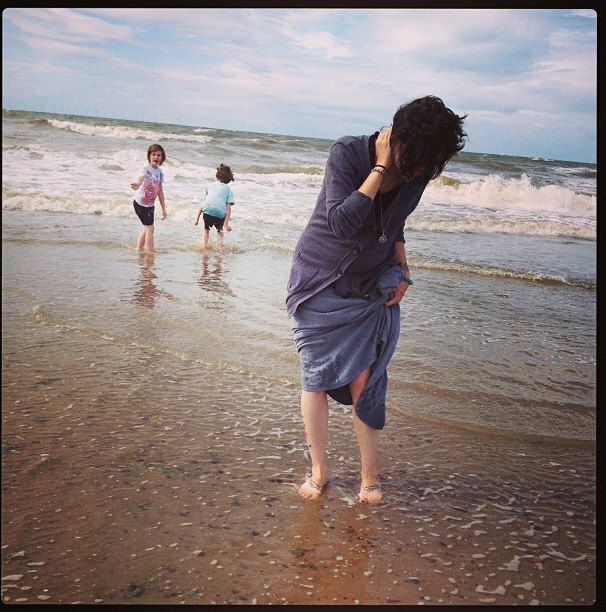 PHOTOGRAPH: The author and her two sons, Rhyl Beach, North Wales, the Irish Sea (August 2013). NOTE FROM THE AUTHOR: “The names of things unseen” was originally published as part of my debut pamphlet of the same name, as part of Prolebooks’ six-poet collection Caboodle. It was written in response to the holidays I take with my sons to North Wales every August, and how words from a newly discovered language can be treasured as much as a found object (like seashells), and how experiences are coloured by the words we use to think about them, even as children. 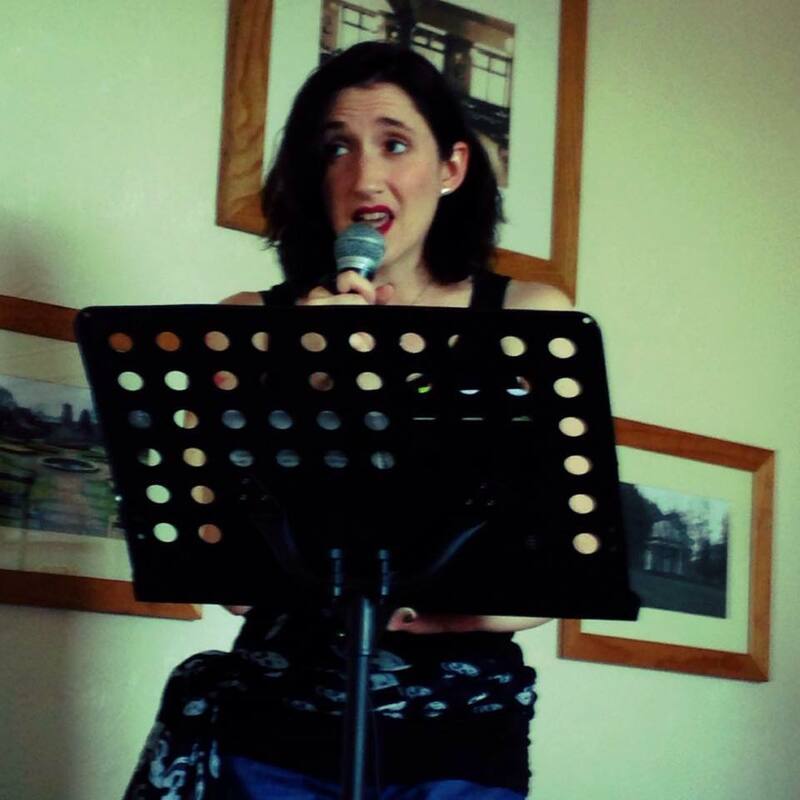 ABOUT THE AUTHOR: Kate Garrett was born thirtysomething years ago in southwestern Ohio, but has lived all of her adult life in the United Kingdom. She writes poems and flash fiction, and edits other people’s poems and flash fiction. Her work is published online and in print, most recently in Prole, Black Sheep Journal, and The Fat Damsel, and her latest book of poetry and flash fiction, Bewitched and Other Stories, is forthcoming from Pankhearst in August 2015. She lives in Sheffield with her three sons, a folkmusicianpoet, and a cat. A fantastic poem by the fantastic Kate Garrett. Of course, you’ll want to go see more here: http://www.kategarrettwrites.co.uk/.